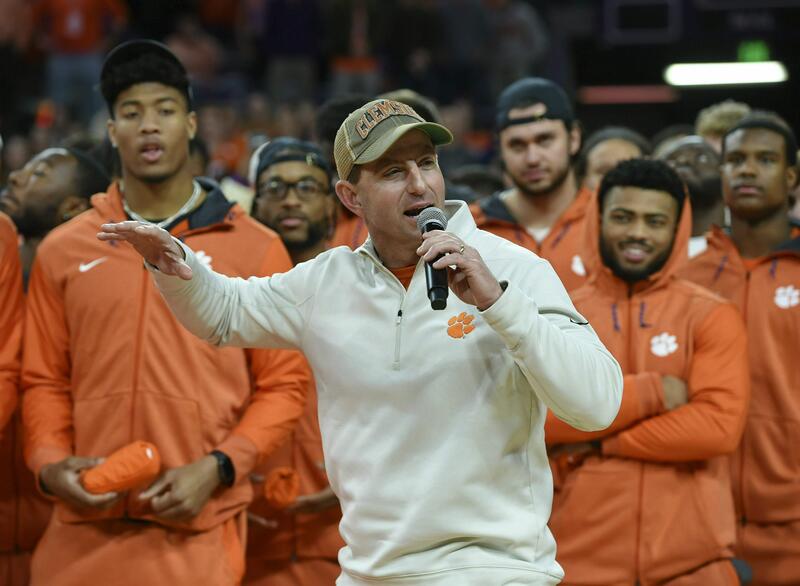 UPDATED: Fri., Feb. 8, 2019, 10:18 a.m.
COLUMBIA, S.C. – Clemson’s offensive coordinators Tony Elliott and Jeff Scott are now in the million-dollar club. Published: Feb. 8, 2019, 8:51 a.m. Updated: Feb. 8, 2019, 10:18 a.m.